Hawaii is known for its floral shirts, mai-tai’s, hula, ukuleles, and a rich and diverse culture. A chain of beautiful islands with so many unique spots and tourist attractions. 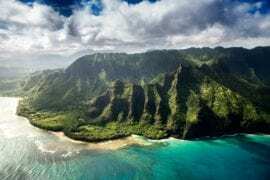 A vacation in Hawaii might seem expensive due an average hotel cost of $260 dollars per night. 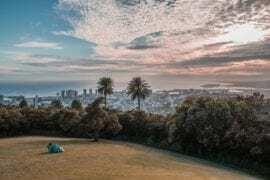 But with Airbnb Hawaii nice apartments or condos may be rented for less. 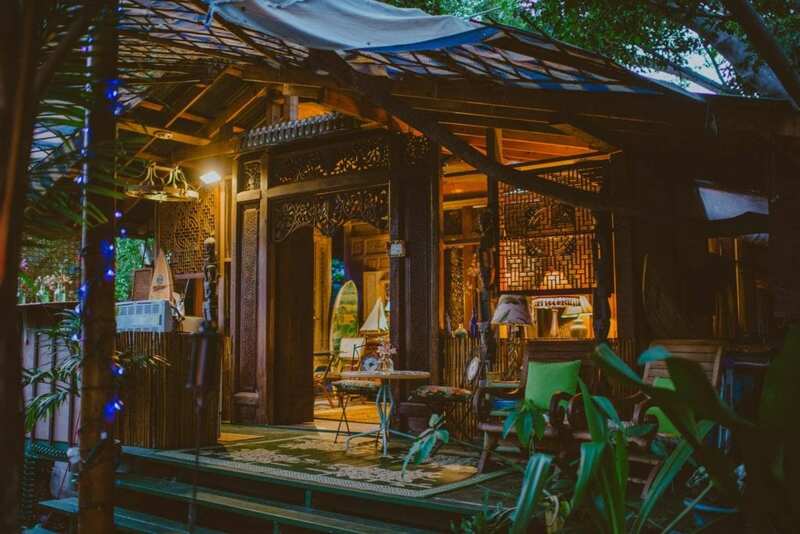 This hidden jewel at Kealakekua Bay is the perfect honeymoon cottage. Located in a quite peaceful village. If you’re looking for a private spot to spend time with your significant other, this is the place. 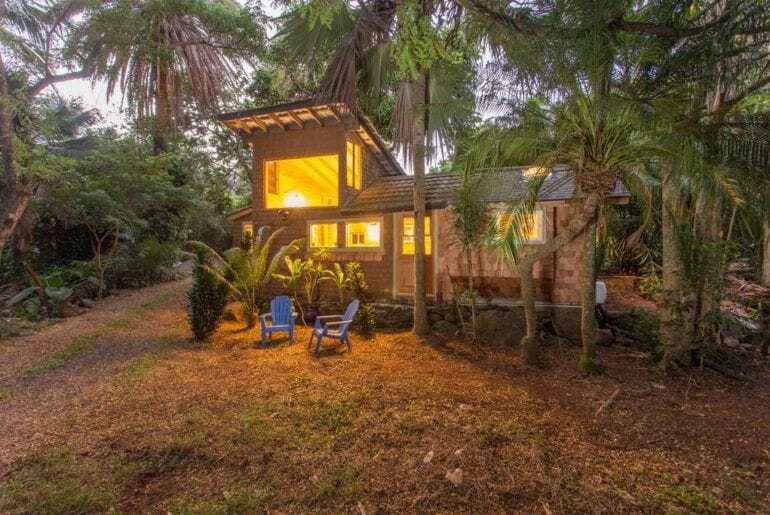 The Cottage is nestled in the lower backyard off the street and is a short walking distance from the Manini Beach. This property has the lush beauty and privacy of Hana. It is a magical secret place on Maui, Makawao, located at the dividing line between the wet and dry halves of the island, The rain keeps everything green, but there is enough sun to enjoy. See rainbows daily and enjoy cool weather conditions. 20 minutes from the airport, close to beaches, and close to restaurants and shops. Looking for something even more luxurious? 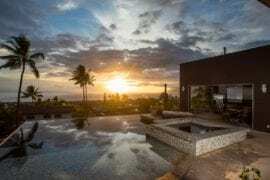 See these Hawaiian properties HERE. This newly renovated traditional charming Hawaiian home has all the modern conveniences. The bungalow is the ground level of a 2-story garden home. |The area has over 3,000 trees and plants, and overlooks Kailua Bay. Walk out the back gate and you are 100 steps away from the famous soft white-sand and turquoise water of Kailua Beach. Rated as one of the top 10 most beautiful beaches in the world. Short distance to local restaurants and shops. 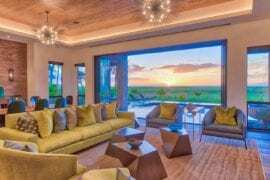 This home is located in Waianae, 5 minutes away from the boat harbor with access to deep sea fishing and dolphin excursions. 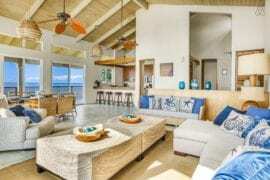 This four-bedroom villa is perfect for family vacations. Just a mile down the road is the Makaha surf beach and valley golf club which features dining, golf, and more. If you enjoy beaches, golfing, fishing and shopping without the crowds, this is the place for you. 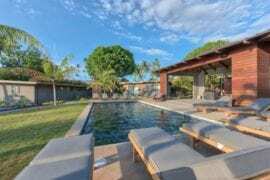 This home is a perfect place for family and friends to come and experience the quiet side of Oahu. 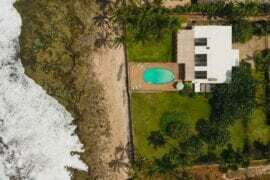 It is a three-bedroom home with a deck overlooking the ocean and is situated just across the street from the beach. 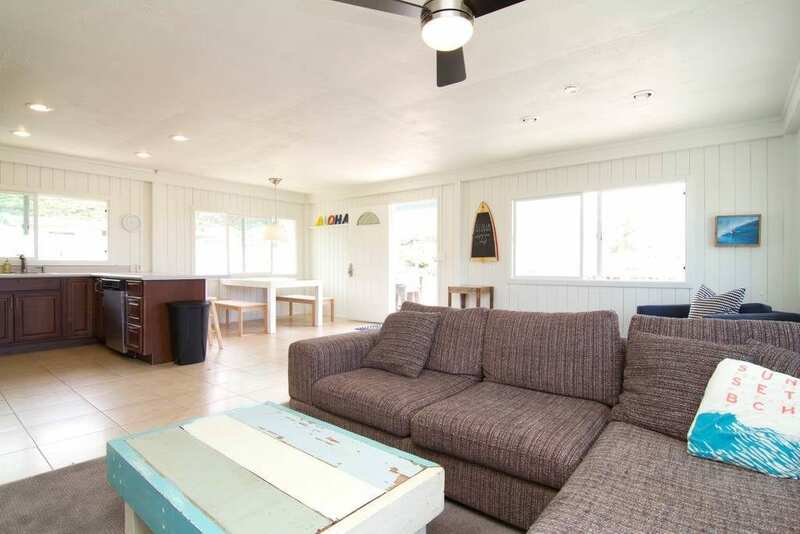 This home is 5 minutes from a popular surf spot ideal for beginners. Need something cute and affordable? 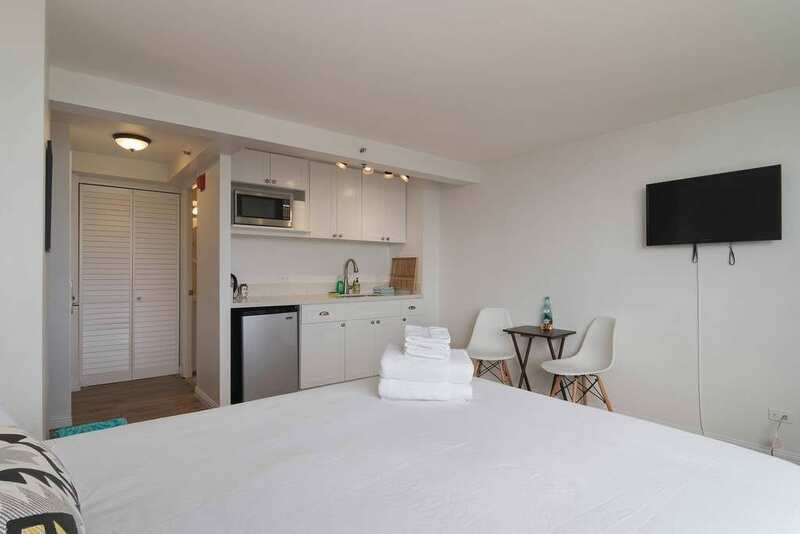 Check out budget Hawaii rentals HERE. 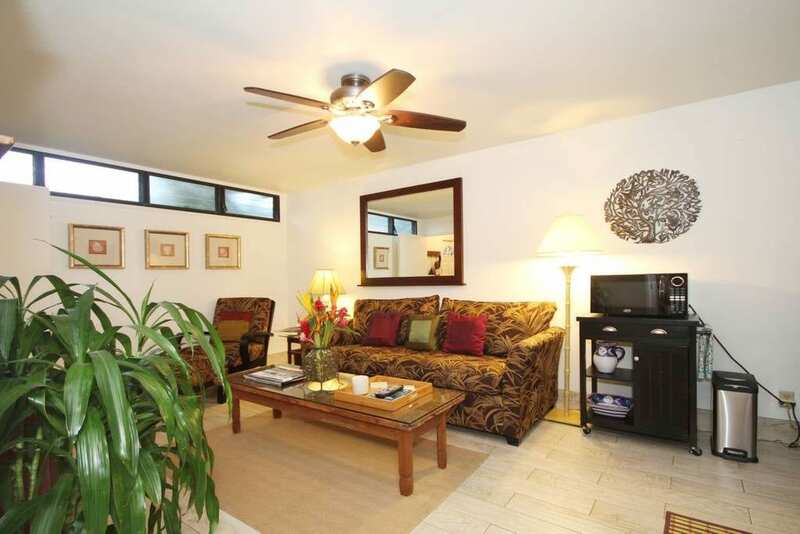 Beautiful, newly remodeled 1 bed condo located on Kauai’s lush romantic North shore. Visitors will enjoy breathtaking views, world-class hiking, and snorkeling. 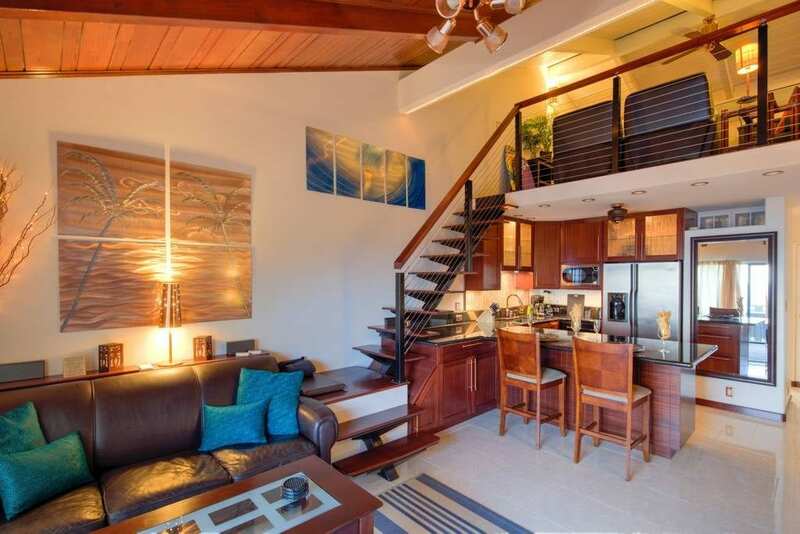 It is nicely decorated with designer living, bedroom, and lanai dining ‘alfresco’ areas. Just few minutes away from a wide selection of restaurants, shops, and convenience stores. 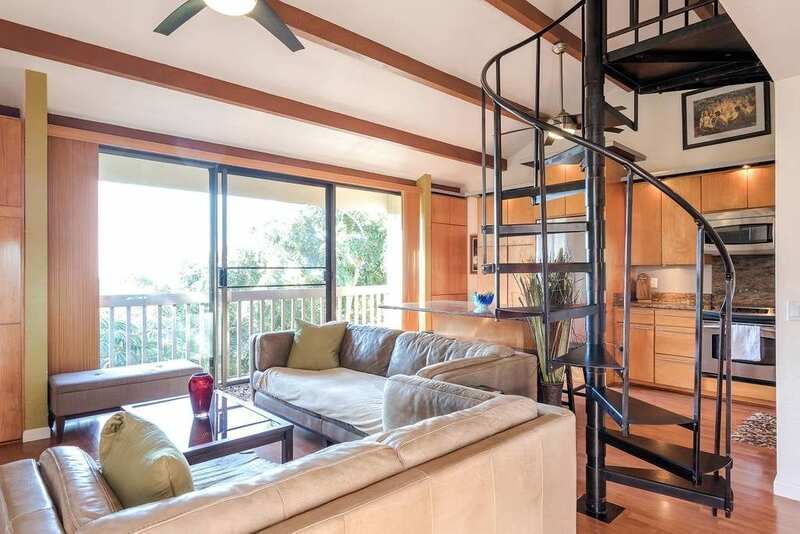 This modern upgraded condo is directly across from Cove Park Beach. 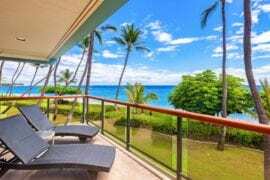 Located in the Shores of Maui resort in Kihei on sunny South Maui. This condo overlooks a sparkling pool, and has a lanai that allows gorgeous views of the ocean and sunsets. Close to a very popular beach in Kihei frequented by surfers and paddle boarders. This is a beautiful designer studio with a private entrance, a bathroom, and great ocean views. 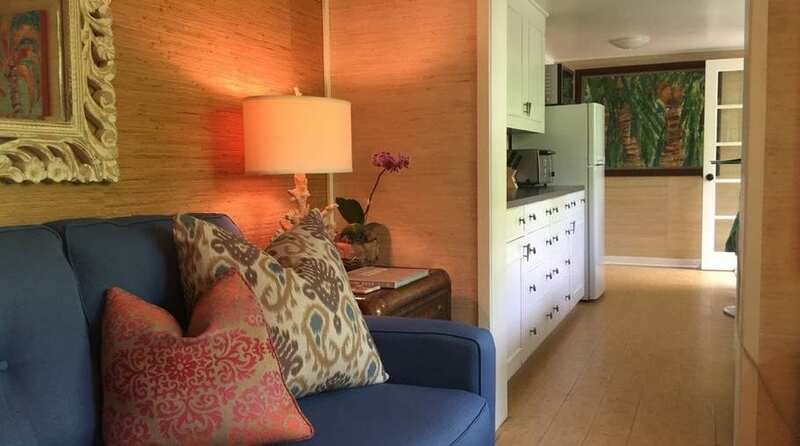 This cozy home features a living room area with flat screen TV, DVD player, and a small kitchenette including, fridge /freezer, microwave, and a toaster oven. All amenities you will need to feel right at home. Close to Ala Moana Mall and Convention center.